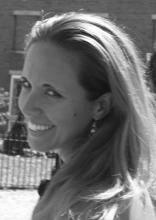 Kristina Scott is an assistant professor of special education at Salem State University. She has experience teaching special education in grades P-8 in inclusion and substantially separate classrooms in urban districts. She also continues to do work for the Massachusetts Department of Elementary and Secondary education as a training specialist for alternative portfolio assessments and as a leader in the teacher preparation initiatives. Prior to this year, Kristina worked at SNHU and at UMass Lowell where she taught special education and language acquisition courses as well as supervised elementary and special education student-teachers. Kristina received her Bachelor’s of Arts in English and Bachelor’s of Science in Exercise Physiology from the University of New Hampshire, her Master’s in Education in Moderate Special Needs from Worcester State University, and her Doctorate of Education in Educational Leadership from University of Massachusetts Lowell in August 2013. Some of her research interests are: autism programming in public schools, meeting the needs of today’s students, and teacher preparation. Dr. Kristina Scott came to SNHU in the fall of 2013 with experience teaching special education in grades P-8 in inclusion and substantially separate classrooms in urban districts. She has also done work for the Massachusetts Department of Elementary and Secondary Education as a training specialist for alternative portfolio assessments. Prior to this year, she supervised elementary and special education teachers and taught special education and language acquisition courses at UMass Lowell.